Welcome to the 48th Annual Big Bear Lake Oktoberfest! 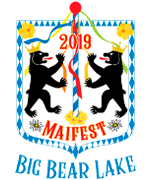 Nestled high in the San Bernardino mountains, we pride ourselves in throwing one of the best German celebrations this side of Munich. The following will get you started on enjoying our quaint celebration! Prosit!. 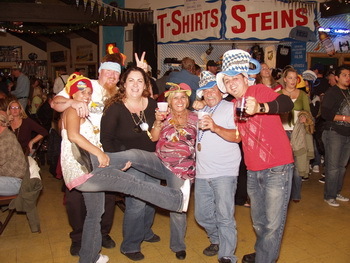 The Big Bear Lake Oktoberfest begins in early September and runs through the first Saturday of November. Peak-season for Oktoberfest generally begins in October. However, it is interesting to note that the original Oktoberfest in Munich actually begins September 22 and ends on October 7th. September weekends at the Big Bear Lake Oktoberfest tend to be less crowded with all the same great entertainment as the October weekends. 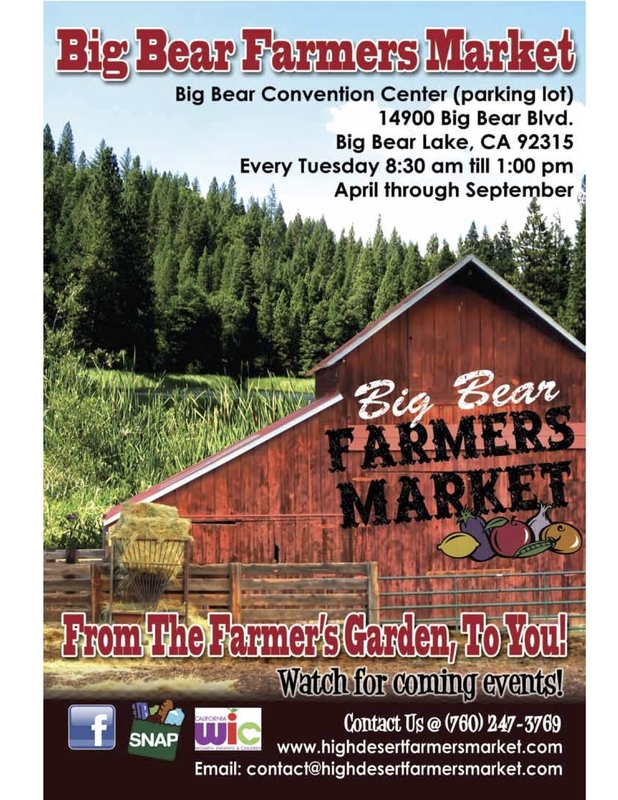 Sundays in Big Bear are family day with free admission for children 12 and under. 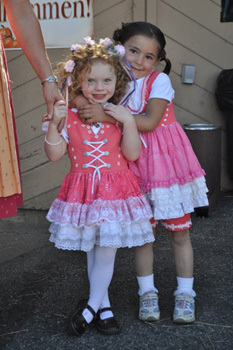 Sunday’s German fun is geared toward families. Tickets are on sale now and can be pre-purchased for all the weekends. 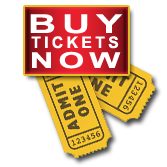 If you are coming to Oktoberfest in October, we do recommend you pre-purchase tickets. Pre-purchased ticket holders always receive “Priority Entry” and are limited so shop early! Also available on line for pre-purchase are 10-pack Bier Booklets and Burgermeister Booklets. Be prepared, walk-in and enjoy everything Oktoberfest has to offer without having to go to a ticket booth. Burgermeister Bucks are ticket booklets good for purchasing food items at the German Kitchen, the new Food Court and the Sports Park Grill. They can also be used to purchase all beverages (including beer, wine, soft drinks, coffee, etc.). Bier Booklets are books of 10 beer tickets and is one way to save you time once you’re here. If we knew exactly what the weather was going to be like during Oktoberfest, we wouldn’t be writing this text!!! Typically, Big Bear enjoys an Indian Summer during the month of September. Daytime highs range in the upper 60’s to upper 70’s with nighttime lows dipping into the 50’s to low 40’s. Fall begins to set in during October with daytime highs in the upper 50’s to mid 60’s. Nighttime can get a little chilly with lows dipping into the low 30’s. So, be prepared with a light jacket. We do have space heaters in all the outside bier gartens, but later in the event a jacket or sweater is generally needed. For the absolute best Big Bear local weather forecast go to bigbearweather.com. That said, please note that there is no re-entry during Oktoberfest. So be sure to bring everything you might need for your day of festing including a camera, jacket and sunscreen! Parking is free, however, limited. We do offer Preferred Parking for $15 per car for those who want front row service. The Big Bear Lake Oktoberfest offers a complimentary shuttle that runs from the downtown Big Bear Village to Oktoberfest on Saturdays from 2 p.m. to 6 p.m. If you have a little too much Oktoberfest fun, let us do the driving. The Coor’s N.A. Complimentary Shuttle begins running on Saturday evenings at 6 p.m. and provides door to door service anywhere you are staying within the Big Bear Valley throughout the night. Dial up one of the local Taxi companies, the City’s Dial-a-Ride or Uber. You’ve arrived . . . now what? Come on in, grab yourself a seat and get comfortable for a full day of fun. TICKETS, TICKETS, WHO HAS THE TICKETS? For the convenience of our guests, all German food and Bier and Wine must be purchased with tickets. There are five convenient ticket booth locations throughout the grounds to purchase tickets. Or better yet, save time and pre-purchase either the Burgermeister Ticket Book or the Ten-pack Bier booklets on line prior to your arrival. Ticket types include: Dinner, Sandwich, Beer, Wine, Burgermeister Bucks and Bier Booklets. Burgermeister Bucks can be used for both food and alcohol and can be purchased in $2.00 increments in books of $40.00 or $80.00. Dance, Sing, Eat and Be Merry. You can’t help but participate in the fun at Oktoberfest. Put on your dancing shoes, because you’ll definitely want to do the Chicken Dance or Circle Dance. Grab one of our Gaudi’s (Hostesses/Hosts) and dance. Enter one of our free contests. Saw a log, hold a stein, or slam an Coor’s N.A..
After a few rounds of polkas, Macarena’s, Chicken dances, etc., step outside and take a big breath of fresh mountain air. Take a stroll down the Budenstrasse (Avenue of the Booths). The outside vendor and game area features everything from homemade soaps, to sports memorabilia, to handmade jewelry and candies. Have your palm read or simply enjoy a bag of Kennel Korn. Little Oktoberfest fans will enjoy the Kinder Garten complete with bounce houses, face painting, airbrush tattoos and carnival games. We serve up a German feast fit for a king. All the favorites from Brats, to Schweine Braten, to pretzels, to pickled pig feet and Strudel. And, if you’re looking for something other than German food, we offer that too. Hans’ German Cantina offers a unique fusion of German and Mexican favorites from German Nachos to Brat Burritos to Southwest Cobb Salads. The Wurst Wagon serves up good old fashioned grilled burgers, chicken strips, fries, Beer Cheese Soup or Split Pea Soups. Other festival favorites include Kettle Korn, Deep Fried Oreos and Funnel Cakes. The Big Bear Lake Oktoberfest proudly pours both German and American bier & wine, as well as a variety of soft drinks, water, coffee and sports drinks. There are two main inside bars and four outside bier gartens – the Warsteiner Bier Garten, the Spaten Bier Garten, the Shock Top Sports Garten, and new this year, the Budenstrasse Bier Garten. It’s all about the beer! Click here for what’s on tap! Looking for the best deal on beer? Buy a stein! General beer cup sizes are 16 oz. (1 ticket) and 32 oz. (2 tickets). Our steins sizes start at 16.9 oz. (1 ticket) and increase to 33.1 oz. (2 tickets). You do the math. We also offer Warsteiner mini kegs, which are 5 liter cans. Mini kegs are $48.00 and pour 10+ 14 oz. cups. And finally, we offer Bier Booklets which consist of 10 beer tickets for $80.00. Be sure to stop by the Oktoberfest Shoppe or the Oktoberfest Kaufhaus and pick-up an Oktoberfest souvenir. We offer everything from Sweatshirts, to T-shirts, to hair wreaths, to magnets, to festival hats and much more. Both locations also offer a full selection of beer steins. 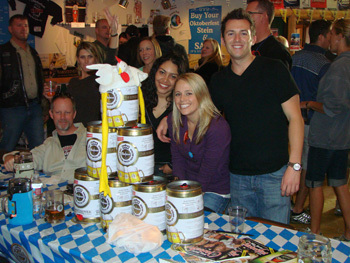 Click here to see this year’s steins and what we have to offer. After a full day of Oktoberfest fun, leave the driving to us. Catch a ride on the O’Doul’s complimentary shuttle. The shuttles begin running at 6:00 p.m. on Saturday evenings and will take you door-to-door anywhere you are staying in the Big Bear Valley. The shuttles continue to operate until the last Oktoberfest fan is out of the building! Please note: The shuttle will NOT take you to any other establishment that sells alcoholic beverages and will only take you to where you are staying!